1. Remove the peel and core the pineapple and cut in thin slices. 2. Slice the Castello® Tickler Extra Mature Cheddar. 3. Cut the slider buns in half and place the bottom halves in a roasting pan. 4. Melt the butter and add approximately half on the bottom halves of the slider buns. 5. 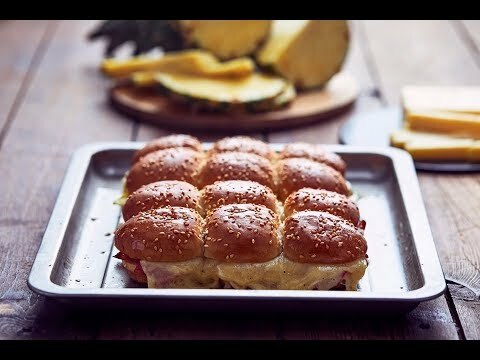 Add ham, pineapple slices and cheddar. 7. Place the upper half of the slider buns and add the rest of the melted butter. 8. Bake in the oven at 200 degrees for 10 minutes or until the cheddar has melted.